Shirts, coats, trousers and, why not, underwear with tactile screens. 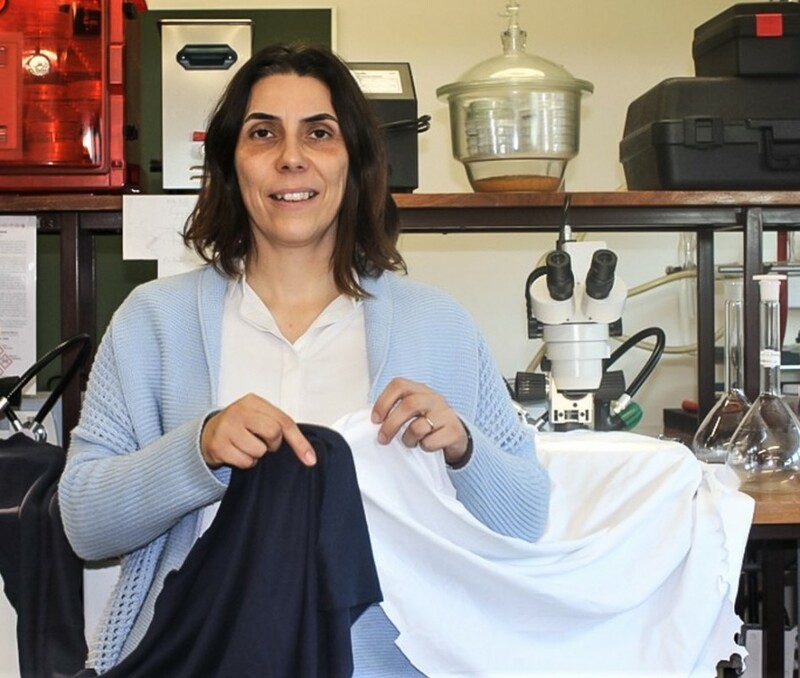 At CICECO, University of Aveiro (UA), a team of researchers helped develop a pioneering technique that allows fully electronic fibers to be intertwined in textile fabrics. The discovery can revolutionize the creation of wearable electronic devices for use in a variety of daily applications, from access to email to medical diagnostics. Currently, electronic clothing is manufactured by gluing devices in their own tissues, making them rigid and likely to get damaged easily. This work, developed in partnership between CICECO, the Belgian textile research centre CENTEXBEL and the University of Exeter (England), integrates electronic devices in the fabric, covering electronic fibers with low weight durable components that will allow images and luminous signals to be shown by the fabric itself. Researchers ensure that the discovery can revolutionize the creation of wearable electronic devices for use in a variety of daily applications, whether in simple access to email through clothing, whether in monitoring health status through sensors that allow you to measure, for example, heart rate and blood pressure, and warn when something is wrong. "It is a technique that allows integrating graphene-based devices directly into textile fibers, maintaining the appearance, flexibility, and touch of the fabric. For now, we have created touch sensors, such as those used in touch screens, and devices that emit light", explains Helena Alves. The coordinator of the work carried out in Aveiro ensures that "the combination of these devices allows, for example, to create ' touch-screens ' in fabrics or objects coated with textiles, to visualize information". And since the two devices were manufactured using methods compatible with industrial methods and requirements, makes it possible to advance to industrial production.